The enormous state of Maharashtra contains within it varied attractions, from it’s highly sought after hill stations to its majestic forts. Besides, this state is home to some of the most well-preserved heritage sites. With Maharashtra heritage tour, you can visit the famous Ajanta Ellora caves, head to the Kaas Plateau – a UNESCO World Heritage Site and spend time at the Elephanta Island. 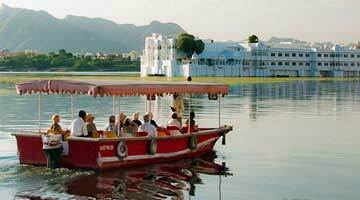 Get first-hand experience of royalty by staying on heritage hotels of the state. Maharashtra is also the land of forts, numbering to almost 350. Visit the forts like Ajinkyatra Fort, Daulatabad Fort and Pratapgad Fort, among others. With Maharashtra heritage & culture tours, visit the Elephanta Caves, Kanheri Caves, Bhaja and Karla Caves etc. Spend time in the cool environs of the hill stations like Mahabaleshwar, Matheran, Panchgani and Panhala, among others. Revisit history and come across rare artefacts, texts, coins etc. at the various museums with heritage tour in Maharashtra.